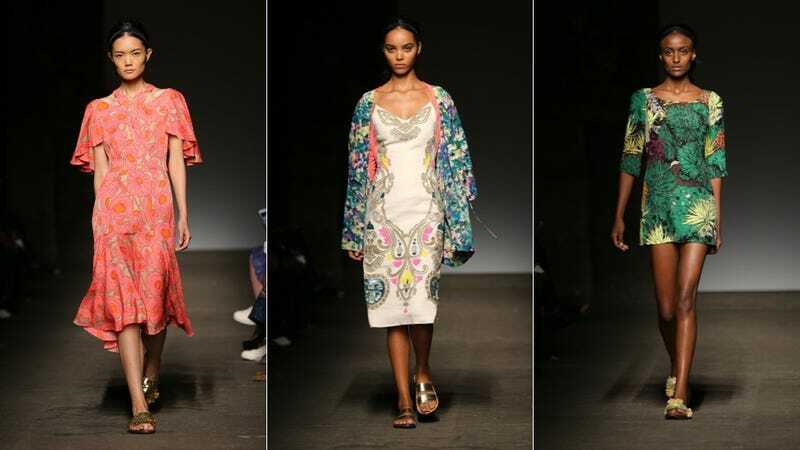 New York Fashion Week marches on, and yesterday, Tracy Reese presented her Spring 2015 collection, which had plenty of lush botanical prints, shimmery sequins and some whisper-light sheers. Personally, I'm a big fan of the vibrant coral floral print dress with the fluttery sleeves and asymmetrical hemline (the top and trousers in the same print are also fab) as well as the tiny blue shift dress with dragonflies. Oooh, and the 1930s-ish jumpsuit. It's all that perfect combination of feminine, whimsical and elegant.